Two months ago, Japan experienced a massive 9.0 earthquake and the devastating tsunami that followed. 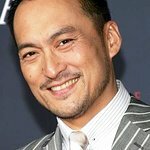 In response to this tragedy, actor Ken Watanabe launched www.uniteforjapan.org to rally people to donate funds for Japan’s relief effort through key organizations like the American Red Cross, Japan Society & Global Giving. The impact of this natural disaster continues to be felt today by the people of Japan. Unite for Japan has launched two PSA videos featuring a special group of celebrities that came together to convey a very simple message: Unite for Japan. 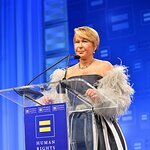 Some of the stars who are featured in the PSAs are Paula Abdul, Ben Affleck, Zac Brown, Jamie Lee Curtis, Matt Damon, Ellen DeGeneres, Johnny Depp, Cameron Diaz, Leonardo DiCaprio, Clint Eastwood, Ayako Fujutani, Mikael Hafstrom, Jonah Hill, Philip Seymour Hoffman, Muramasa Kudo, Sharon Lawrence, John Legend, Richard Lewis, Rob Marshall, Hideki Matsui, Julian McMahon, Jennifer Morrison, Cillian Murphy, Amaury Nolasco, Apolo Ohno, Masi Oka, Robert Patrick, Katy Perry, Maggie Q, Zoe Saldana, William Shatner, Jake Shimabukuro, Cobie Smulders, Steph Song, Ben Stiller, Charlize Theron, John Travolta, Aisha Tyler and Mark Wahlberg. “When I first saw the catastrophic damage, I was in shock and utter disbelief,” said Ken Watanabe. "In the days following the earthquake, it was devastating for me to watch the homeless taking shelter at evacuation centers. Many were eating just one meal a day, and sleeping on floors with inadequate clothing to fight off the cold, all the while not knowing when or how their lives could change for the better after losing homes and, in some cases, loved ones. The events were so overwhelming that I felt powerless. But soon, I was no longer able to sit still and watch the horrifying events unfold. I decided to do two things, which was to help raise funds for the earthquake relief effort, and give the victims moral support by gathering messages from around the world. Unite For Japan will also be holding a very special celebrity charity auction in June. Find out more here. You can also watch Part 1 and Part 2 of the video right here.